Domain Mondo | domainmondo.com: News Review 1) ICANN64 Report, TSG Model A House Built On Sand? 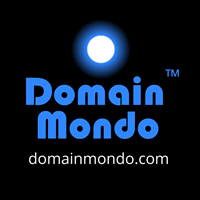 Domain Mondo's weekly internet domain news review (NR 2019-03-17) with analysis and opinion: Features • 1)a. ICANN64 Report, TSG Model A House Built On Sand? b. ICANN64 Photo Album, c. Root Servers Governance, d. GAC Communique, e. EPDP, f. Post-Meeting Report, 2) a. .AMAZON, b. RPMs PDP Dysfunction, c. Alpnames, 3) Tucows $TCX 10-K, 4) ICYMI Data Privacy: China, Facebook, AT&T, T-Mobile, Sprint, Verizon, Apple, GDPR, 5) Most Read. a. GDPR, RDAP & Registrants' Data - TSG Draft Model A House Built On Sand? Twelve Assumptions: (1) RDAP will be used; adios port 43; (2) Everyone will use; (3) ICANN is only path; (5) Credentials protected; (7) Unauthenticated queries via policy; (10) ICANN ensures validity of credentials; System must evolve/fit to… (4) Changes in data sets, rules; (6) Match normal RDAP usage; (8) Existing RDAP practices; (9) Pilot experience; (11) Policy choices; (12) Implementation practicalities. 23 April 2019: Final Technical Model published. 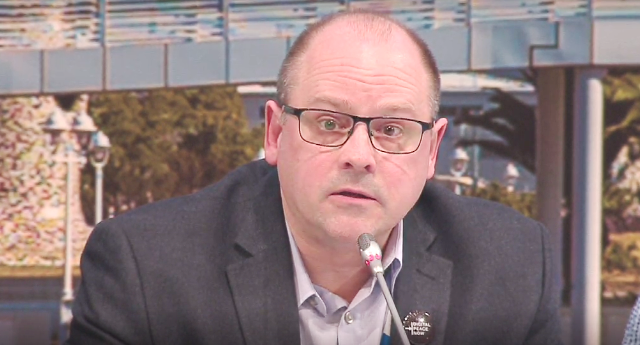 ICANN64 session and presentation (pdf); see also RSSAC037 and RSSAC038. Summary: a new cooperation and governance model for the Root Server System (RSS) based on RSSAC037: • Root Server System Governance Board (SAPF); • Root Server System Standing Committee (PMMF); • Root Server Operator Review Panel (DRF); • ICANN org as Finance and Secretariat Functions. CCWG-Accountability Work Stream 2: "... One intervention raised an issue on possible future steps that need to be taken in order to address the concerns regarding ICANN jurisdiction stated in the Jurisdiction Sub-Group Final Report and Recommendations, and expressed that this issue remains open and requires further consideration by GAC and ICANN Board. There are different views on this matter in the GAC. Issues of Importance to the GAC: 1. Dot Amazon applications; 2. Two-Character Country Codes at the Second Level; 3. IGO Protections. • WHOIS and Data Protection Legislation: The GAC advises the Board to: i. Take necessary steps to ensure that the GNSO EPDP on the Temporary Specification for gTLD Registration Data institutes concrete milestones, progress reports and an expeditious timeline, similar to Phase 1, for concluding Phase 2 activities; ii. Take necessary steps to ensure that the scope of phase 2 activities is clearly defined with a view to expeditious conclusion and implementation; iii. Make available the necessary resources for Phase 2 to expeditiously advance on the complex legal issues deferred from Phase 1; iv. Consider instituting additional parallel work efforts on technical implementations, such as that carried out by the Technical Study Group, for purposes of informing and complementing the EPDP’s Phase 2 activities; v. Facilitate swift implementation of the new Registration Directory Services policies as they are developed and agreed, including by sending distinct parts to implementation as and when they are agreed, such as the questions deferred from Phase 1; vi. Consider re-starting implementation processes for relevant existing policies, such as rhe Privacy Proxy Services Accreditation Issues Policy. 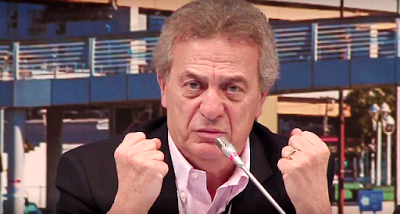 • ICANN Board Consideration of the CCT Review Recommendations: The GAC notes with concern the recent Board resolution in response to the Final Recommendations of the Competition, Consumer Trust and Consumer Choice Review Team, which approved only 6 of 35 consensus recommendations. The GAC advises the Board to: i. Promptly meet with the CCT Review Team leadership to discuss the Board’s resolution; and ii. Possibly reconsider certain decisions on recommendations if appropriate. • Subsequent Rounds of New gTLDs: The GAC recalls its advice in the ICANN56 Helsinki Communiqué, which states that the development of policy on further releases of new gTLDs needs to fully consider all the results of the relevant reviews and analyses to determine which aspects and elements need adjustment. The GAC advised the Board to address and consider these results and concerns before proceeding with new rounds. The GAC will next meet during ICANN65 in Marrakech, Morocco, 24-27 June 2019. EPDP (Phase 2) meetings will restart after new EPDP Chair appointed by GNSO Council (no later than 25 April 2019). 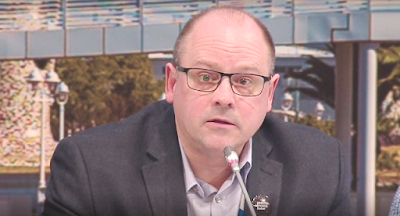 More on EPDP at ICANN64 on last week's News Review. 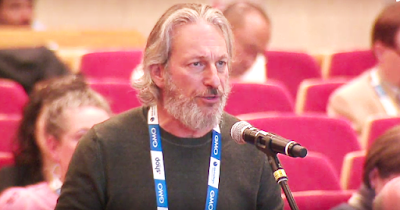 At ICANN64, ICANN's Brad White interviewed GNSO Chair Keith Drazek and GNSO Council Liaison & EPDP Acting Chair Rafik Dammak about the Expedited Policy Development Process (EPDP). Q1 2022 is a tentative possible date for next round new gTLDs application window to open. Cathrin Bauer-Bulst (EU): DPAs [EU Data Protection Authorities] "cannot engage in this travel circus we’re engaged in. We need to do our homework and then consult them." Opening Ceremony, Cherine Chalaby: "Our new vision for ICANN is to be a champion of the single, open and globally interoperable Internet and the trusted steward of the Internet's unique identifiers." Public Forum 1, former ICANN Board member Bruce Tonkin: ICANN doesn’t prioritize processes. It does everything at once, and that means too many things are done poorly in parallel. We need to prioritize what’s most important at any one time and work on those few things well. ICANN Governance session, former ICANN Board Chair Steve Crocker: "GDPR has taken over our attention span. We could have seen it coming years ago. We should have solved the privacy issues inherent in GDPR by ourselves way before GDPR. Those issues are fundamental ... Something’s broken in our DNA that we wait to be pushed, and pushed hard, by external forces ..."
a. New gTLD .AMAZON: the ICANN Board "calls on the ACTO member states and the Amazon corporation to engage in a last effort that allows both parties over the next four (4) weeks to work in good faith toward a mutually acceptable solution regarding the Amazon Applications, and if one is reached, to inform the Board of that solution by 7 April 2019." --ICANN Board Resolution (pdf) March 10, 2019. 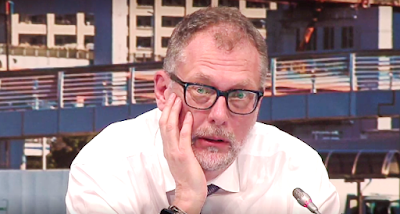 9 March 2019 Letters from ICANN General Counsel John Jeffrey to: GNSO Chair Keith Drazek (pdf) with attachment (pdf); and Bernstein and Kirikos (pdf). 10 March 2019 Letter from Robin Gross to John Jeffrey (pdf). See also 23 Oct 2018 Letter from Andrew Bernstein. c. ICANN terminated the Registrar Accreditation Agreement (RAA) with registrar Alpnames Limited (IANA #1857), effective immediately (March 15, 2019). "The RAA was terminated after the ICANN organization determined that Alpnames was no longer performing required registrar functions as specified in the agreement. These functions include allowing existing registrants to renew domain name registrations and processing new registrations." More here and notice of termination (pdf). "We may not be able to maintain or improve our competitive position and may be forced to reduce our prices because of strong competition in the market for Internet services generally and domain name registration, in particular, which we expect will continue to intensify. Each registry and the ICANN regulatory body impose a charge upon the registrar for the administration of each domain registration. If these fees increase, this may have a significant impact upon our operating results. Regulation could reduce the value of Internet domain names or negatively impact the Internet domain acquisition process, which could significantly impair the value attributable to our acquisitions of Internet domain names." Facebook gives up on China?--“As we build our infrastructure around the world, we've chosen not to build data centers in countries that have a track record of violating human rights like privacy or freedom of expression." --Mark Zuckerberg in Facebook.com. FTC v. Facebook: In the coming weeks, Joseph J. Simons, FTC Chair, and the FTC’s four other commissioners are expected to conclude an investigation into whether Facebook violated its promises to protect people’s data.--NYTimes.com. See also Facebook’s Data Deals Are Under Criminal Investigation--NYTimes.com. “It is now abundantly clear that you have failed to be good stewards of your customers’ private location information"--US Senator Ron Wyden in his letter to AT&T, T-Mobile, Sprint, and Verizon. Apple video above published Mar 14, 2019: "Your privacy matters. From encrypting your iMessage conversations, or not keeping a history of your routes in Maps, to limiting tracking across sites with Safari. iPhone is designed to protect your information." The sun may be setting on the old privacy rulebook--"Europe is also heavily invested in the notice and consent approach, which forms the backbone of the General Data Protection Regulation [GDPR] that went into effect last year and has become the de facto global standard"--axios.com.